In the name of the Father and of the Son and of the Holy Spirit. One God. In today’s Gospel lesson (Luke 18:18–27), we encounter the familiar passage of Jesus and the Rich Young Ruler. We read this story twice every year in the Church—once here in Luke 18 and once again in Matthew 19. It reminds us that money can be a snare. The Bible is full of warnings to the rich. In fact, we have read several in the last few weeks.1 Certainly, these warnings apply to Jeff Bezos, Bill Gates, Warren Buffet, the three richest men in the U.S.2 They certainly apply to the richest people in our community or perhaps even in our church. How Do You Define “Rich”? But do these passages really apply to the rest of us? For years, I didn’t think so. I never would have said this out loud, of course. But whenever I read them or heard them, I assumed they didn’t apply to me and would think of several other people whom I hoped were listening. 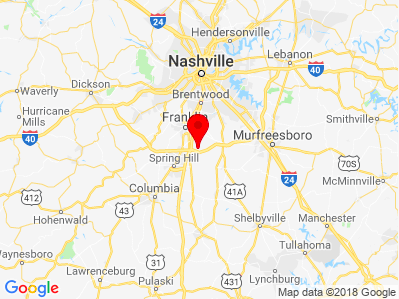 Well, consider this: The average American earns $37,000 a year or about $100 a day.3 For most of us living in Williamson County, Tennessee, that doesn’t sound like much. But for 96% of the world’s population, that would be a huge pay raise. Currently, the population of he world is roughly 7 billion people. 1 billion people (14%) live on less than $1 a day.4 So if you make an average American income, you are one hundred times richer than a billion people on t.he planet today. 3 billion people (43%) live on less than $4 a day.5 So if you make an average American income, you are twenty times richer than these three billion people. 2 billion people (29%) live on less than $16 a day.6 So if you make an average American income, you are six times richer than these two billion people. In other words, if you earn $37,000 a year or more, you are in the top 4% of all wage earners in the world8. You are in the 4% Club. Congratulations! You are rich. The problem is that we tend to evaluate whether or not we are rich by comparing ourselves to those who earn more money rather than those who make less. We have this completely backward. In comparison to the rest of the world, all of us—or certainly the vast majority of us here today—are rich. Statistically speaking, we’ve won the lottery! So those passages in the Bible that speak to the rich, are really speaking to us. He’s talking to us—all of us. When St. Paul says in his first epistle to St. Timothy (6:17-19). And when St. Paul says just a few verses earlier in this same chapter (v.
He’s talking to us—all of us. Indeed, he’s warning us. Now, as I’ve said, there’s nothing wrong with money per se, but we have to be careful that we don’t make it an idol, that we don’t begin to love it. If that happens, just as St. Paul warns us, it can become a snare that destroys our relationship with God and our neighbors. This is precisely what had happened to the Rich Young Ruler. So the question I want us to consider this morning is this: “How can those of us who are rich (and by this I mean everyone in this room) keep money from becoming a snare that destroys our spiritual life? We can do so by remembering three principles. Principle #1: God owns it all. Because God created all things, he owns all things. According to Psalm 50:10, he owns the cattle on a thousand hills. And according to verse 12 of that same Psalm, he owns even the hills themselves. God is thus the true owner of everything we have. Not just our bodies and spirits, but our houses and cars, our furniture and fixtures, our televisions and stereos, our computers and smartphones, our children and pets, and even our bank accounts and IRAs. Nothing is exempt. God owns it all. When our children were young, we tried to teach them the grace of giving. We always made sure they had something to put into the offering plate on Sunday morning. Even if it was only a few dimes and a nickel, we wanted them to learn that giving is part of the worship they offer to God. When my daughter Mary was two, I gave her a few coins and told her to place them in the collection plate as it came around. As usual, she was delighted and played happily with the coins in her hands. When it was time to give her offering, I saw Mary look at her coins and then look back at the collection plate. Suddenly, she had a flash of insight. As her older sister held the plate, Mary quietly set her coins aside and thrust her hands past the checks and bills to the bottom of the plate. There she grabbed two handfuls of shiny coins. And, without a twinge of guilt, she closed both fists around the coins, lifted them from the plate, and deposited them with her own. By this time, I noticed what was going on, she was going in for a second helping. I stopped her. Having no idea why she couldn’t just help herself to what had obviously been offered to her, she began to protest loudly as the other children and adults near us laughed out loud. Well, what is cute when we are children is sad if it persists into adulthood. And yet, many of us are like my daughter Mary. We think that it all belongs to us. But it doesn’t. God owns it all. Principle #2: We are God’s stewards. Now, God has made some of us stewards over a large estate. He has made others of us stewards over a small estate. But make no mistake about it, all of us are stewards. That means we are each held accountable for how we use the resources God gives us. In the Parable of the Talents in Matthew 25:14-30, our Lord makes it clear that he regards as “faithful” those who wisely use the resources he gives them. Conversely, he regards as “unfaithful” those who squander their opportunities and use his resources foolishly. The point of the parable is that for all of us there is an ultimate accountability in the exercise of our stewardship. We are not free to spend our money as we please. Nor are we free to invest our money as we please. Everything must be done to the glory of God and with a view to the reality that we will one day give an account of our stewardship. Principle #3: Tithing is how we make this practical. The word “tithe” simply means “a tenth.” It is the practice of paying a tenth (10%) of our income to God. Now let me be clear. We don’t give to God because he needs the money. We don’t give this because 10% belongs to God and the rest belongs to us. No, we give as a reminder that God owns it all. The tithe is just a tangible way to acknowledge this. We encounter the concept of tithing early in the Old Testament. Before God had given the Law through Moses, Abraham paid a tenth of all he had to Melchizedek, priest of God Most High (see Genesis 14:18-20). Then, through Moses, God revealed to His people that they were to set aside a tenth of what they produced each year (see Deuteronomy 14:22–29).10 Even the Old Covenant clergy (the priests) were required to pay a tenth of what they received to the temple in Jerusalem (see Numbers 18:25-29). privilege of using the land he had given them. Consequently, when they failed to pay the tithe, God accused them of robbery and brought a curse upon the whole nation (see Malachi 3:8-12). “Woe to you, scribes and Pharisees, hypocrites! For you pay tithe of mint and anise and cumin and have neglected the weightier matters of the law; justice and mercy and faith. These you ought to have done, without leaving the others undone” (emphasis mine). The scribes and Pharisees took the Law of Moses very seriously. So seriously, in fact, that they paid a tithe on everything—even ordinary kitchen spices! However, in their zeal for the details, they lost sight of the big picture. They failed to show justice and mercy and faith to their fellow man. Consequently, Jesus roundly condemned them. But notice what he says. He tells them they should have done the greater things of the law (justice and mercy and faith) without neglecting the lesser things (tithing). He doesn’t condemn their tithing—far from it! He actually applauds it. What he condemns is their failure to exercise the greater virtues. In the fourth century, St. John Chrysostom, in his Homily on Ephesians, expounds on tithing. Speaking of the Old Covenant, he says,“If there was a danger then in omitting tithes, think how great it must be now.”14 He then goes on to encourage the practice of giving tithes and offerings. Many things can be said about tithing in historic Orthodoxy. There were times when the tithe was used, and there were times when the practice disappeared altogether. For many years the state gave a percentage of taxes collected from the people directly to the Church, thereby alleviating the need for a direct tithe. As Fr. Richard Ballew of blessed memory says in his booklet on Tithing, one accusation, however, cannot be made against tithing. The Lord never condemned or forbade its use, nor did he call an end to the practice as an archaic facet of Old Covenant worship. It is a thoroughly biblical and patristic practice. Other forms of collecting funds—ethnic festivals, bazaars, raffles, rummage sales, and Bingo—are not mentioned anywhere in Scripture or anywhere in the Fathers. Tithing is the God-ordained means by which God provides for his work in the world and in our parish. Tithing is how we make it practical. I want to conclude by offering a few practical tips with regard to tithing. Number 1: Pay the tithe first. When you sit down to pay the bills, the first check you should write is a check to the Church. Don’t look to see if you can afford it. You probably can’t. Writing this check is an act of faith. Read Malachi when you get home today. Number 2: Start small and work up. Some may disagree with this, but for years, I didn’t start because I didn’t think I could chin the bar. I didn’t see how I could afford 10 percent. Compare this to other spiritual disciplines … often when you begin to pray or you begin to fast, you have to start small and ease into it. Not because you are trying to avoid the full practice, but because you are trying to build a lifelong habit. The same is true with tithing. What if you could get to the point that you are giving 10% in less than a year? For example, you could start with 1% of your income, then add 1% more each month. In just ten months, you would be giving 10%. In the spiritual life, our direction is often as important as the destination. He who sows sparingly will also reap sparingly, and he who sows bountifully will also reap bountifully. So, let each one give as he purposes in his heart, not grudgingly or of necessity; for God loves a cheerful giver. So, let’s bring it back to the Rich Young Ruler in today’s Gospel. The issue wasn’t his money; it was his heart. “Do not lay up for yourselves treasures on earth, where moth and rust destroy and where thieves break in and steal; but lay up for yourselves treasures in heaven, where neither moth nor rust destroys and where thieves do not break in and steal. For where your treasure is, there your heart will be also. The problem with the Rich Young Ruler was that he put his money—his stuff—ahead of God. Here’s the bottom line: If God is not first in our checkbooks, he cannot be first in our hearts. Imagine if we did the exact opposite. Imagine if each of us put God first, starting with our money. Imagine having the funds available to plant even more churches in and around Middle Tennessee. Imagine being able to start ministries for prisoners, single parents, and the poor. Imagine being able to partner with poor Orthodox churches in Africa, Asia, or South America. Imagine being able to sponsor young men who want to go to seminary but simply can’t afford it. Imagine co-laboring with God in changing the world. All of this and more is possible when we put God first—first in our money and first in our hearts. The Parable of the Rich Man and His Barns (Luke 12:16-21). Thomas Nelson Publishers, 2010) Kindle Location 1589.
one tithe or three. It’s safe to say they paid a minimum of 10 percent. 11. Irenaeus, Against Heresies, Book IV, Chapters 8 and 17 as cited in J.
Richard Ballew, Tithing (Ben Lomond, CA: Conciliar Press, 1988), 11-12.